Fusarium wilt, a plant disease caused by pathogenic strains of the soil fungus Fusarium oxysporum, affects over 100 crops including banana, tomato, ginger, cucumber, oil palm, watermelon, wheat, and flax. Fusarium wilt of bananas, also known as Panama disease, is rapidly spreading around the globe, threatening banana and plantain production. 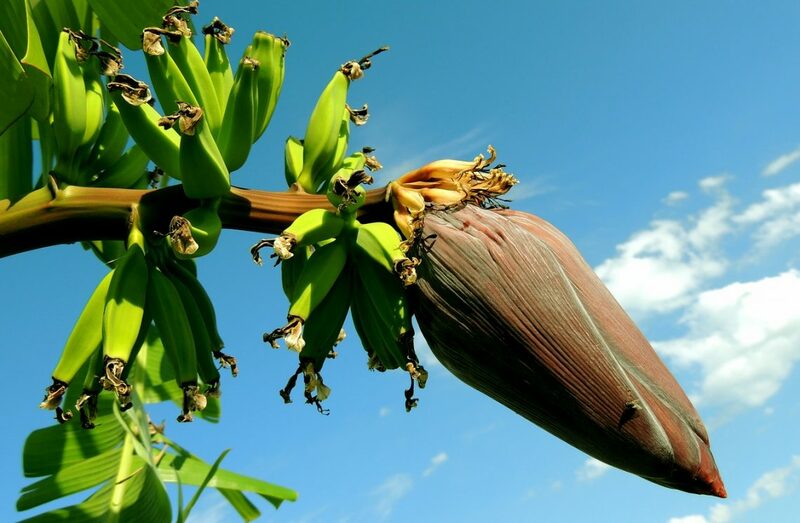 For most crops, including banana, there is currently no resistant and commercially acceptable variety, nor any means to control the disease and the fungus can remain dormant in the soil for up to 40 years. When an infection is discovered, the advice for most crops is to kill the affected plant and find an alternative crop or relocate to a new growing area. As the pathogen lives in the soil and affects the plant via its roots, it is dependent upon the soil environment to provide the essentials of life, including nutrients, water, and structure. It is also in constant competition with the multitude of other organisms that inhabit the soil that surrounds plant roots. Each of these interactions has an effect on the health of the pathogenic fungus, the host plant, and every other organism involved. By managing specific characteristics of the soil environment the competitive balance between the pathogen, host plant and other soil microbes can be altered to reduce, or suppress, disease severity. Largely, the severity of the disease is dependent on the balance of two factors: how well the pathogen can attack the host plant, and how well the host plant can defend itself. Changing any soil characteristic has flow-on effects to the pathogen-microbe-host relationship, but for the purposes of disease management in commercial settings, soil characteristics generally fall into one of two categories: those that can be easily altered (such as the pH of the soil), and those that are intrinsic to the soil (such as the percentage of sand). Disease severity generally increases with higher temperatures and sandier soils, but these two attributes are difficult to change in large, open-air fields. Despite this, it is valuable to understand this relationship to assess the risks to individual farms for the future. Other soil properties can be more easily managed by adjusting fertilizer, water, and ground cover practices and are of greater interest for treatment. Several soil characteristics such as soil acidity have shown a fairly uniform and direct response, others, however, are more complex and dependent not just on the amount of a nutrient added, but the form it comes in such as nitrogen or organic matter additions. More acidic soils and greater availability of iron or manganese increase the growth or aggressiveness of the pathogen, making the disease more severe. On the other hand, greater availability of calcium, silicon, and zinc appears to bolster plant defense, making the disease less severe and leaving the plant healthier. Synthetic nitrogen fertilizer, a key component in most commercial farming, can either reduce or increase plant defense and change the growth rate of the pathogen, depending on the chemical form and, likely, the amount used. Ammonium and urea fertilizers, the most common nitrogen sources in commercial farming, increase plant growth but also increase disease severity. Nitrate fertilizers, which are less common due to higher prices and the ease with which they are lost to the environment, increase plant growth and reduce disease severity. The increase in plant defense from nitrate fertilizer is greater than the increase in pathogen growth, overall reducing disease severity. Nitrate promotes defense against the pathogen within each of the plant’s cells, where-as ammonium reduces plant defense. Ammonium uptake also causes the plant to release weak acids into the soil surrounding the roots, which aids the pathogen, whereas nitrate causes a reduction in soil acidity, disadvantaging the pathogen. The effects of organic matter, both applied and developed in the soil, have been studied extensively but are still poorly understood due to their complexity. Unlike synthetic fertilizers, organic matter provides energy for organisms that can either suppress disease by competing with the pathogen or enhance disease by competing with the host plant. Furthermore, as the organisms present decompose organic matter its chemical composition changes, altering its effect on soil pH, nutrient, and water availability. It is therefore very difficult to directly compare organic matter treatments to predict the effect of future additions. Despite this complexity, increased organic matter generally suppresses disease and makes for a healthier plant, though it appears to be somewhat case specific. Management practices have long been overlooked in terms of their ability to change Fusarium wilt severity. Even when acknowledged as a useful tool to reduce disease losses, the complexity of the interactions in the soil environment has caused confusion amongst those attempting to optimize the growing conditions for disease suppression. By taking the trends identified here and optimizing them for individual locations, it is hoped that Fusarium wilt disease can be managed to reduce losses, rather than cause the loss of production due to Fusarium wilts. These findings are described in the article entitled Impacts of soil abiotic attributes on Fusarium wilt, focusing on bananas, recently published in the journal Applied Soil Ecology and in the article entitled Suppressiveness or conduciveness to Fusarium wilt of bananas differs between key Australian soils, recently published in Soil Research. Ryan Orr is a chemist and soil scientist at James Cook University investigating the link between soil characteristics and Fusarium wilt disease severity in bananas. Paul Nelson is an agricultural/environmental scientist at James Cook University. His research focusses mostly on how natural processes and management influence the sustainability of tropical cropping systems, including soil condition, nutrient cycling and greenhouse gas emissions.